Quah, Nicholas. 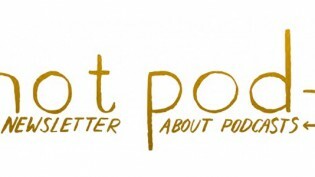 "Hot Pod: A podcast ranking that misses a lot, new listenership data, and funny Australians." Nieman Journalism Lab. Nieman Foundation for Journalism at Harvard, 31 May. 2016. Web. 18 Apr. 2019. Quah, Nicholas. "Hot Pod: A podcast ranking that misses a lot, new listenership data, and funny Australians." Nieman Journalism Lab. Last modified May 31, 2016. Accessed April 18, 2019. https://www.niemanlab.org/2016/05/hot-pod-a-podcast-ranking-that-misses-a-lot-new-listenership-data-and-funny-australians/.